Guests to this home are welcomed from the outside by a wrap-around porch and dormered windows and on the inside by a sunny two-story foyer illuminated by a dormer with palladian. The great room, which features a cathedral ceiling, and an island kitchen are defined by accent columns. Nine foot ceilings add volume and drama throughout the first floor. 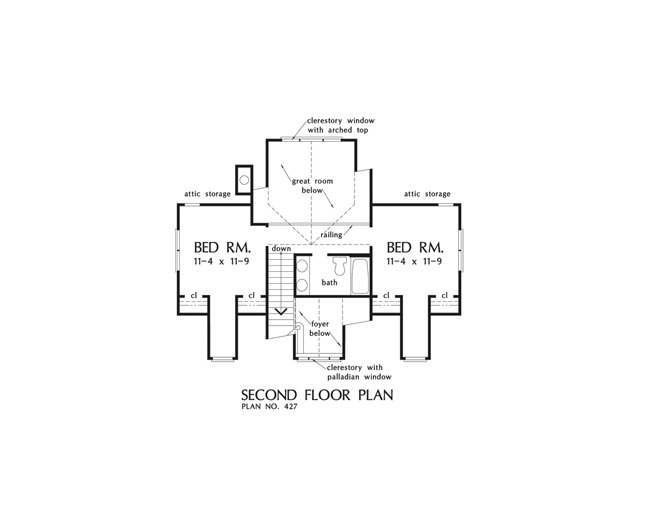 The master suite includes a tray ceiling, roomy walk-in closet, and a bath with garden tub and double bowl vanity with knee space. Upstairs, two bedrooms share a full bath. A bonus room over the garage rounds out the plan. 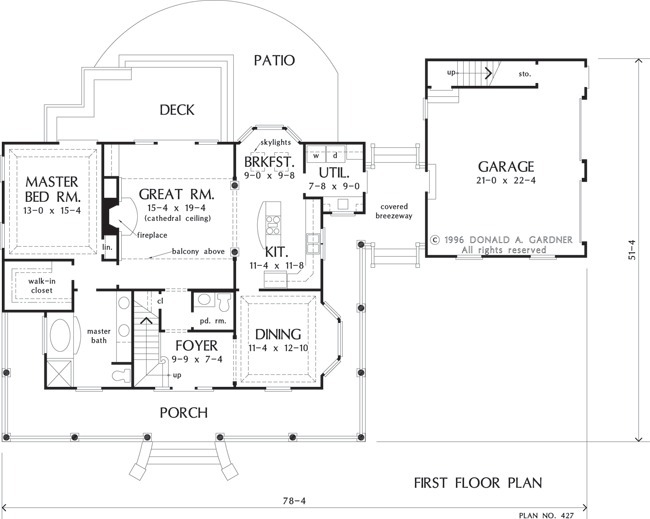 1st Floor: 1456 Sq. Ft.
2nd Floor: 507 Sq. Ft. 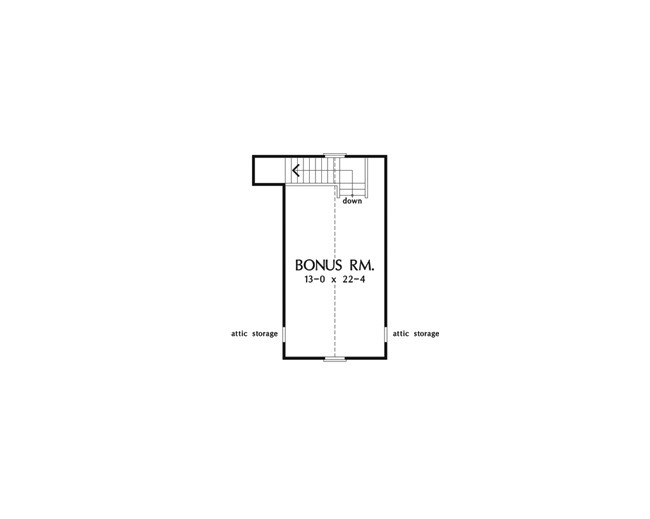 Bonus Room: 380 Sq. 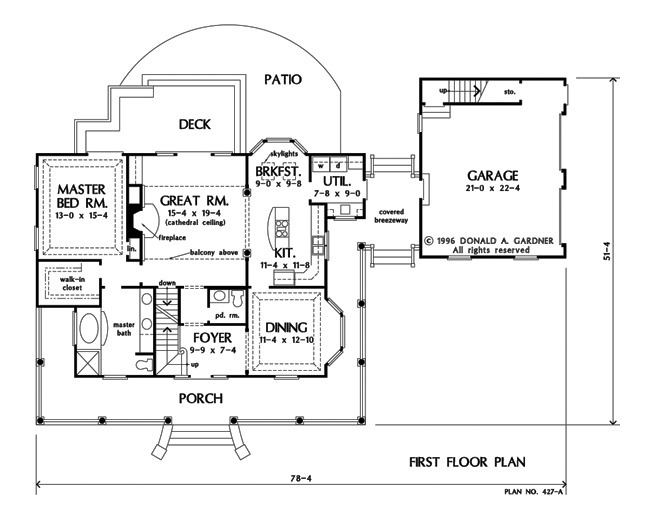 Ft.
House Dimensions: 78' 4" x 51' 4"
Great Room: 15' 4" x 19' 4"
Kitchen : 11' 4" x 11' 8" x 9' 0"
Breakfast Room : 9' 0" x 9' 8" x 9' 0"
Utility Room : 7' 8" x 9' 0" x 9' 0"
Bonus Room (Cathedral): 13' 0" x 22' 4" x 10' 8"
Foyer (Vaulted): 9' 9" x 7' 4" x 21' 0"
Dining Room (Tray): 11' 4" x 12' 10" x 9' 0"
Great Room (Cathedral): 15' 4" x 19' 4" x 23' 4"
Master Bedroom (Tray): 13' 0" x 15' 4" x 9' 0"
Bedroom #2 : 11' 4" x 11' 9" x 8' 0"
Bedroom #3 : 11' 4" x 11' 9" x 8' 0"
Porch - Front : 48' 8" x 7' 0" x 0' 0"
Porch - Left : 5' 8" x 10' 4" x 0' 0"
Porch - Right : 5' 8" x 23' 6" x 0' 0"
Deck / Patio : 17' 0" x 10' 0" x 0' 0"
Balcony : 13' 4" x 4' 0" x 8' 0"
Other : 8' 0" x 11' 7" x 0' 0"